Brain health hits close to home. At times I’m surrounded by sorrow– my grandma has Alzheimer’s, one of my best friend’s mom just passed away from Alzheimer’s, and another best friend’s dad is battling Glioblastoma Multiforme Multifocal (brain cancer). It seems there is a lot of bad stuff happening to good brains! Perhaps you, your friends, and family members have similar stories and struggles? While I don’t have all the answers to explain why bad things happen to good brains, I hope you will find the following personal reflection uplifting and spiritually encouraging. It’s fall, and even in Southern California crunchy and colored leaves lie on lawns and line gutters. 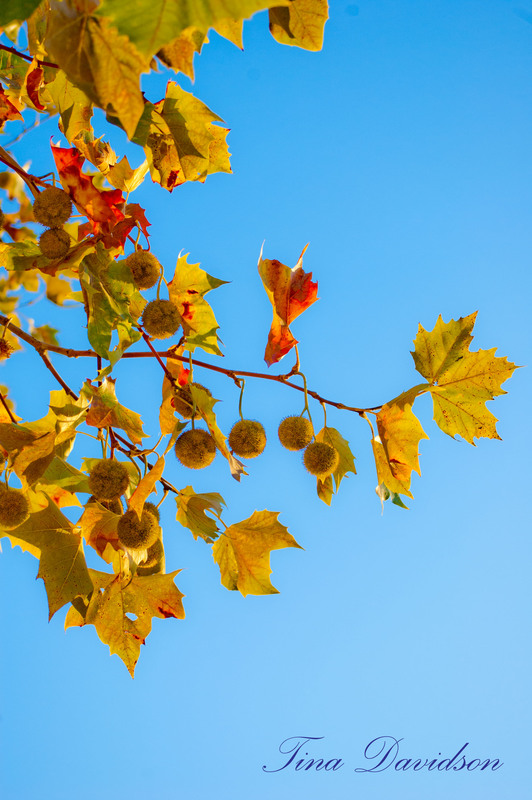 As a young girl attending St. John’s Lutheran School, in Orange, California, I eagerly waited for the sycamores that encroached over the schoolyard fence to shed their leaves for the usually not-too-chilly winter. In middle school, my best friend, Sarah, and I would enjoy recess by chasing falling leaves. Our goal was to “protect” the leaves by catching them in mid-air, but what horrible demise the ground held for them I don’t remember. This game worked well until a Santa Ana wind hit. These warm winds sent the leaves streaming down in droves. On those days, after futile attempts to save the leaves, Sarah and I would instead join the herd of girls pretending to be horses and gallop across the dried-out grass with our manes blowing wildly in the wind. When we weren’t in school engaged in creative play, we spent a lot of time creating videos. Mostly, they were funny videos (according to our standards) that sometimes included cameos of Sarah’s younger sister, Christi, a pet cat or two, a dog, and the next-door neighbor, Sunny. We were able to capture these moments thanks to Sarah’s dad, Byron, since it was his video camera that we used. Byron always seemed to have the latest in technology when it came to electronic gadgets, TVs, and sound systems. He was the first person I remember, other than my older brother, who had an Apple computer (this was back in the late 80s/early 90s). After sixth grade, though, Sarah’s family moved to Michigan and our movie-making days ended. Sarah moved because her dad accepted a call to minister to youths in Troy, Michigan, at Faith Lutheran Church, leaving his previous position as youth pastor at St. John’s. As our youth pastor, I remember Byron had great energy, a personality that drew people to him, a huge heart for Jesus, and a talent for using music and videos to help preach the Gospel. To me, he seemed like a “rock star.” I wasn’t quite old enough to attend many of the youth group outings that had made him popular at our church, but I learned so much from him just by watching him interact with his family. The good-old days of hanging out with Sarah and her family at their house on Cambridge Street in Orange have been on my mind lately because Bryon is battling brain cancer. Recently, Sarah posted a video on Facebook that showed her dad worshiping in church. He has five brain tumors and the right side of his body is affected the most—he can’t walk, talk, see out his right eye, or use his right hand. My eyes streamed tears while watching the video because it was beautiful to see him tapping his left foot, raising his left hand, and smiling during the worship music. Shortly after Bryon’s diagnosis, his family started a “We Love Byron” Facebook page that includes updates and prayer requests as an encouragement to him and others. It is a way for others to share their testimony as well, since many have shared their comments on how Byron played a part in turning their heart towards Jesus. Sun streams through a french door as Byron reclines on the carpeted floor. He holds a baby, his daughter, Susie. He looks in her eyes and speaks to her in a soothing voice. She responds with a coo. Sarah, her sister Christi, and I laugh in delight at Susie’s “talking” back to her dad. As of late, I have struggled with what may lie ahead for my dad since he is forgetting things and has a history of Alzheimer’s in his family, but I have hope for my dad and Sarah’s. The Bible tells us in Romans 8:37-39 that nothing can separate us from God’s love: “No, in all these things we are more than conquerors through him who loved us. For I am convinced that neither death nor life, neither angels nor demons, neither the present nor the future, nor any powers, neither height nor depth, nor anything else in all creation, will be able to separate us from the love of God that is in Christ Jesus our Lord” (NIV). Thank you, Father, for loving us. Although there are things that seem futile, like a child chasing after leaves during a Santa Ana wind or the fight against brain cancer, your Word remains. We can trust in your promises. We are more than conquerors.